Claude Monet, a late 19th century artist, founded the Impressionist period. 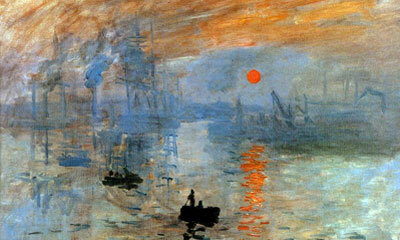 The first painting that marked the beginning of this movement, was called the Sunrise in 1872. Monet focuses mostly on plein-air landscape, meaning natural scenery, such as, mountains, valleys, trees and any scenery with a wide view. 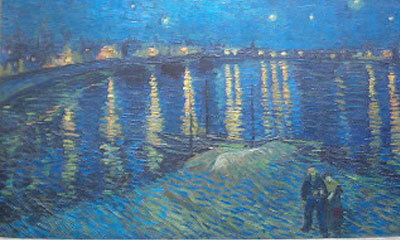 Monet went to school at Le Havre secondary school of the arts, while he was there. His mentors were Jacques-Francois Ochard and Eugene Boudin. On one of Monet's trip to Paris, he visited the Louvre. On his trip, he was inspired to paint during his leisure time; he met Edouard Manet, who was another artist from the same period. Although both artists are from the same period, they are not to be confused for the other. Monet is considered to mark the beginning of the Impressionist period and Manet is considered to shift from Impressionism to modern art. As mentioned briefly before, Monet focused on plein-air landscape. Monet's type of plein-air landscaped consisted of light and airy brushstrokes. Monet's technique was rapid brushstrokes to depict the effect of light, often playing with the effects and shades of light. Most of Monet's collection were comprised of the same setting, but painted in different shades. For example, Monet's Rouen Cathedral collection in the 1890s depicted the facade of the cathedral of different times of the day and year experimenting with different lighting. Another similar collection was his Houses of Parliament series, made of eleven different settings and shade of light, but all the same setting. Other renowned artworks of Monet were his water lilies, haystacks and poplars. Water lilies were one of his largest collections, over 250 different oil paintings depicting the same subject, all slightly different. Monet focused on water lilies mostly in the last thirty years of his life. Monet also focused on haystack, particularly after harvest season. Most of his collections were the same subject, but similar to his other collections, they were different perceptions of light, varying in seasons, days, time and years. Monet's poplar series, however, were more personal; he was inspired by the nearby trees in the marshes along the banks of the Epte River. Monet would sail on the river, finding a peaceful spot to paint. Even though Monet suffered from cataracts for most of his life, he was still able to construct some of the finest masterpieces of the time.